This case is ideal for a variety of environments including Policing and Security, Warehousing, Manufacturing, Retail, Logistics and Transportation. The ease of use encourages employees to keep the device with them at all times and prevents damage or loss. This case is designed using System Wear’s unique, custom made high-density foam material. Allows full access to all device functions while in case, protecting the scanner at all times. Can be worn comfortably on a belt using the clip attachment system or can be carried using the supplied shoulder strap. Both options permit easy usage and versatility. Case extensions for swipe card and Bluetooth attachments can be added. 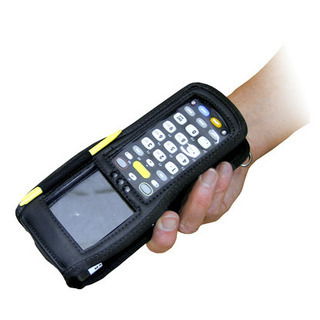 Can be customized to specific environments, as can all other handheld mobile computer case designs.